Spike Lee is back.. back with a bang. After a series of unremarkable films — including the horrid ‘Oldboy’ — he has made a film that not only is really good, but also has people talking. Those who have seen BlacKkKlansman already know what it is about. Those who haven’t, here’s a official synopsis of the film. BlacKkKlansman is a true story of an American hero. It’s the early 1970s, and Ron Stallworth (John David Washington) is the first African-American detective to serve in the Colorado Springs Police Department. Stallworth resolves to make a name for himself and a difference in his community. He bravely sets out on a dangerous mission: infiltrate and expose the Ku Klux Klan. Posing as a racist extremist, Stallworth contacts the group and soon finds himself invited into its inner circle. With the undercover investigation growing ever more complex, Stallworth’s colleague, Flip Zimmerman (Adam Driver), poses as Ron in face-to-face meetings with members of hate group, gaining insider’s knowledge of a deadly plot. Together, Stallworth and Zimmerman team up to take down the organization whose real aim is to sanitize its violent rhetoric to appeal to the mainstream. Today, we are recommending to you a list of films similar to BlacKkKlansman. For this list, we chose a mix African-American dramas, satires and investigative thrillers. I hope you find these films as interesting as Spike Lee’s gem. You can find some of these movies like BlacKkKlansman on Netflix, Hulu, or Amazon Prime. 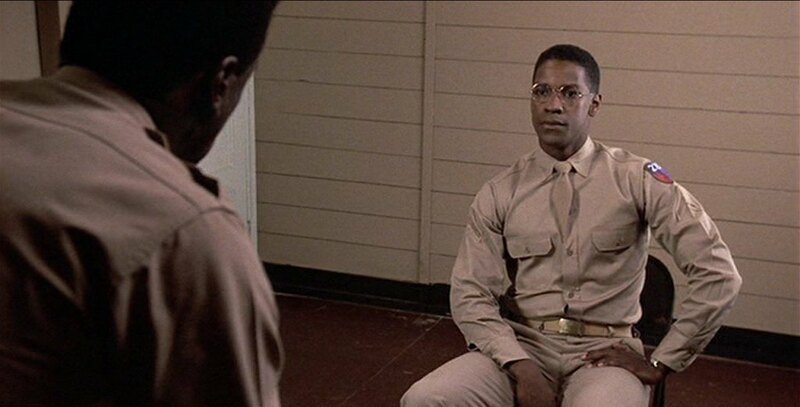 Based on the Pulitzer Prize winning play about racism within the world of black soldiers, Norman Jewison directed this tense, outstanding film acted with great power by Howard Rollins Jr., Adolph Caesar and newcomer Denzel Washington. A major critical success and Best Picture nominee, the film was a minor success at the box office and demonstrated that class issues and hatred ran rampant among blacks just as it does with whites. Called in to investigate the murder of a cocky, bunny rooster of a drill sergeant, Rollins knows almost from the beginning it is a soldier in the man’s charge who killed him. Slowly he breaks down the platoon until he finds the man, a true detective story. Directed tautly by Jewison, it might be the best film of his long career. This magnum opus of Michael Mann had everything a cop movie would want. An ensemble cast with powerful performances, brilliant direction, unforgettable deliveries and confrontations, action sequences, all together made a well-polished and breathtaking final product. It’s a nearly three hour crime epic that simultaneously leaves you wanting more and makes you feel completely satisfied. There is really nothing about this film that isn’t perfection. The story unfolds beautifully, never dragging. 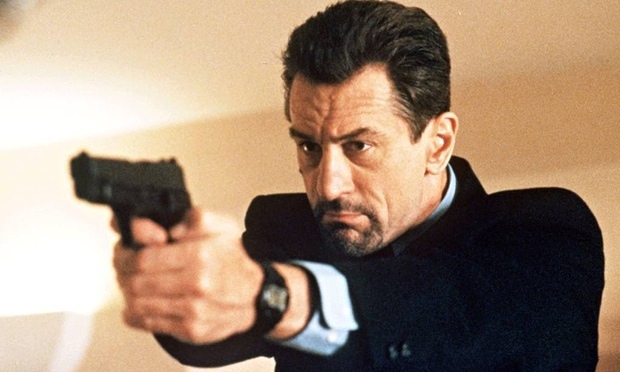 ‘Heat’ is simply a testament to what can be done with the good old-fashioned cops and robbers theme invested with a top class cast and crew firing on all cylinders. This is one of the reasons why it occupies top position in this list and is a must watch for all film lovers. This is a classic example of how not to do an investigation. Mark Whitacre, a high ranking official at an agri-industry giant turns a whistleblower to expose his company’s illegal price fixing policies to the FBI. While Mark prides himself on him being a hero for doing the right thing, his bipolar disorder makes it increasingly difficult to continue and he ends up embarrassing himself in front of the FBI. Soon it’s found out that Mark, while aiding FBI, actually defrauded $9 million from his company! Eventually he receives a federal prison sentence, three times longer than the other conspirators. 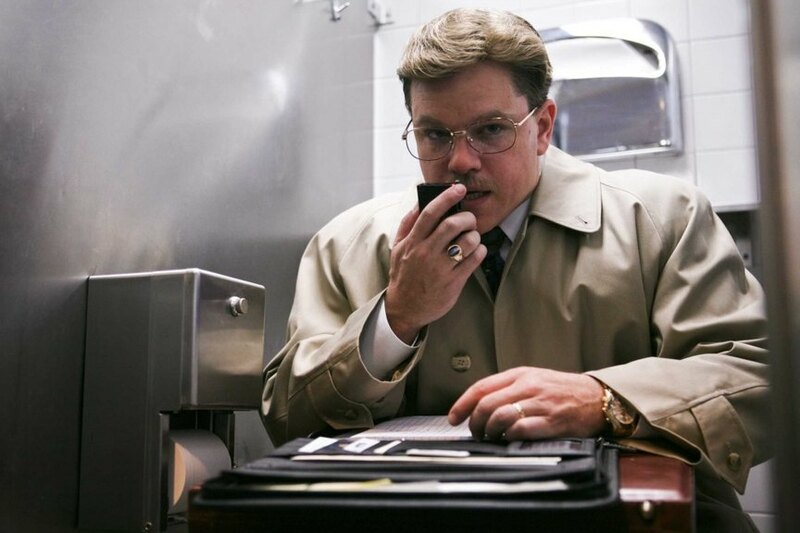 Directed by Steven Soderbergh and starring Matt Damon in the titular role, ‘The Informant!’ is based on actual events and is a completely laugh riot. While you chuckle at the idiosyncrasies of Whitacre, it also forces you to ponder over the deceptive layers of human emotions, of considering what’s right and what’s not. 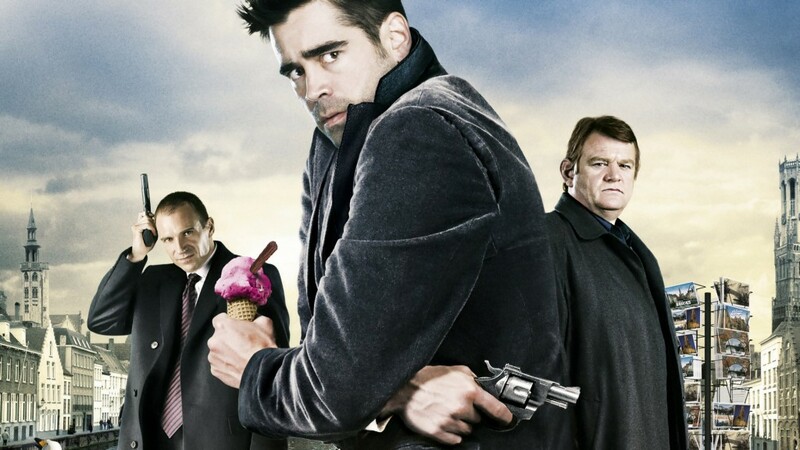 Helmed on byMartin McDonagh McDonagh, the film follows the story of two Irish hitmen, Ray and Ken Daley essayed by Colin Farrell and Brendan Gleeson, and their maniacal mob boss, Harry Waters played by Ralph Fiennes. Set in the city of Bruges, the film bases its humour with the duo of Farrell and Gleeson. Director McDonagh brilliantly set the British “stiff upper-lip” against the crassness and unruliness of the films characters. Adapting certain references from Harold Pinter’s ‘The Dumb Waiter’ (1957) and Nicolas Roeg film ‘Don’t Look Now’ (1973), the flick is a stinging comment on the society. The writing focuses on its dark analogies, which is marvellously enacted by the crisp dialogues. In the year 1995, CBS aired a controversial segment of 60 Minutes, where a watered-down take on the growing influence of the tobacco industry leaders was discussed. In the centre of this, was Jeffrey Wigand, an ex-employee at the Brown and Williamson. At first it was an abridged version hiding much of the facts but when the leading investigator and journalist Lowell Bergman questioned their own ethics of suppressing the truth, CBS was forced to showcase the actual investigation which was a blow-by-blow account of Wigand’s experience as the whistleblower of the corruption at the B&W. 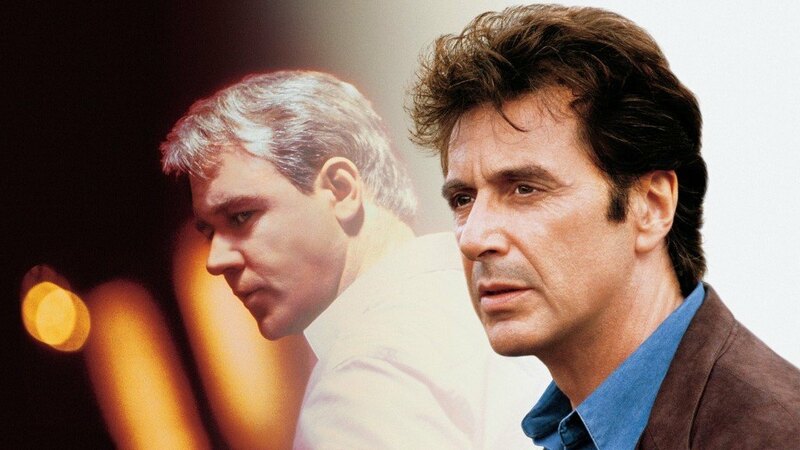 Nominated for seven (7) Academy Awards, Michael Mann’s ‘The Insider’ is solid, taut storytelling about investigative journalism, making it a compelling watch. Joel Schumacher’s ‘A Time to Kill’ is about a young African-American girl who gets raped and nearly killed by two white supremacists. Her father, played by Samuel Jackson, goes to the county courthouse and shoots the culprits, killing them instantly. The rest of the film revolves around his trial as he hires a good hearted white lawyer to help him win the case. 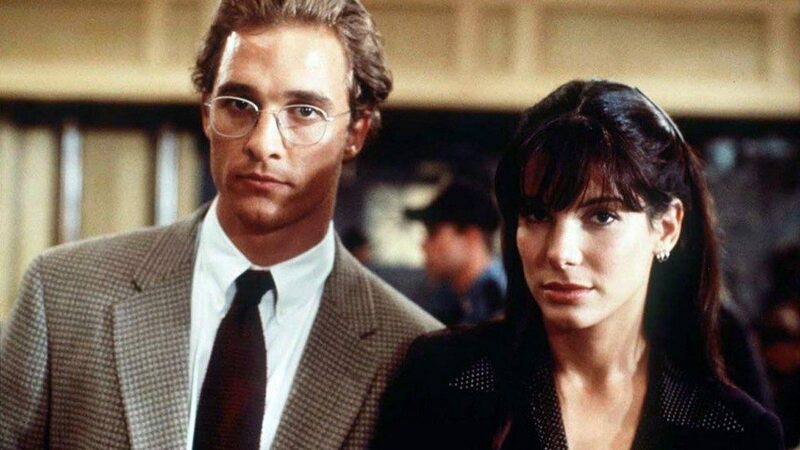 ‘A Time to Kill’ is a film that is as much relevant today as it was back in 1996 and raises some very important questions on racism, justice and truth. 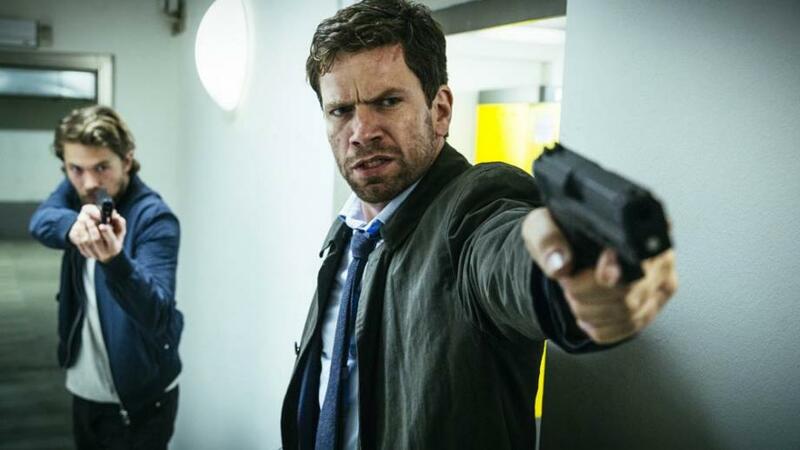 It’s incredibly tense and well controlled, complimented by some fine performances from its stupendous cast. 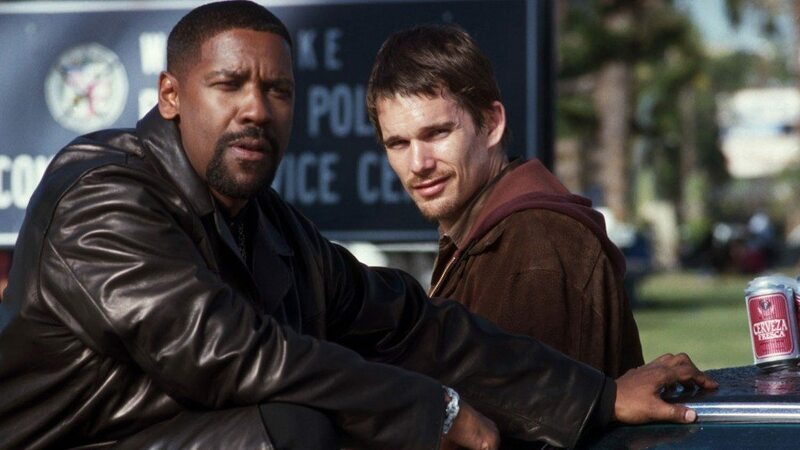 ‘Training Day’ is a well done film that brings out the best of both Denzel Washington and Ethan Hawke in addition to a very interesting story of justice and corruption. For the first two thirds of the movie, the director makes us to snoop around the central characters. We get to observe these two very different people laugh, argue, help, and betray each other over the course of a single day and it makes for a truly great character study. It’s unfortunately during the last third when the film starts to falter. It requires a major suspension of disbelief and things become a little too convenient for otherwise such a realistic movie. ‘Lethal weapon’, kind of changed the way in which people viewed action movies and laid perfect foundation for the top notch series of films that followed. It set the standard for “buddy cop” genre with unforeseen difference in the lives of the two central characters Martin Riggs (Mel Gibson) and Roger Murtaugh (Danny Glover) which also provides for lots of fun to be had later in the movie. Riggs and Murtaugh are probably the best buddy cop duo ever with their absolutely brilliant chemistry. Shane Black’s witty writing mixed with Richard Donner’s precision directing pave way for an entertaining film. It is a must watch if you love action, comedy and drama all at once. 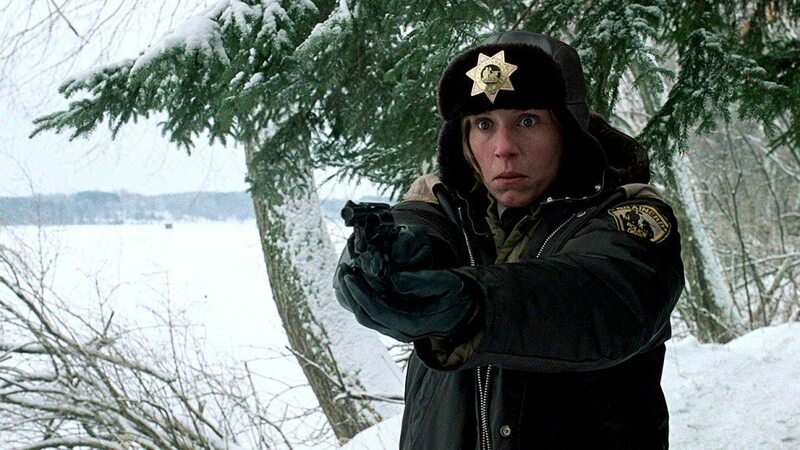 Coen brothers have the mastery in painting a vivid tale out of thin air, and ‘Fargo’ is their most revered achievement. The thing with this movie is, it becomes all the things that you not expect to get out of it. With a story that delves into a blend of humor, violence and thrills, the black comedy elements of ‘Fargo’ make it both a bitter and comedic edge-of-seat thriller with Marge Gunderson’s “Oh ya betcha” becoming a highlight over the course of the running time. It is one of those few films that stand the test of time, and can entertain from beginning to end. It’s dark, satirical, quirky, and fundamentally a unique flavor, catering to all aspects desired. The soundtracks alone would leave you stunned at the end of it. ‘Pulp Fiction’ is the archetypical product of Tarantino. The film pays an intensive focus on human conversations and the sudden loss of interest of human psychologically. 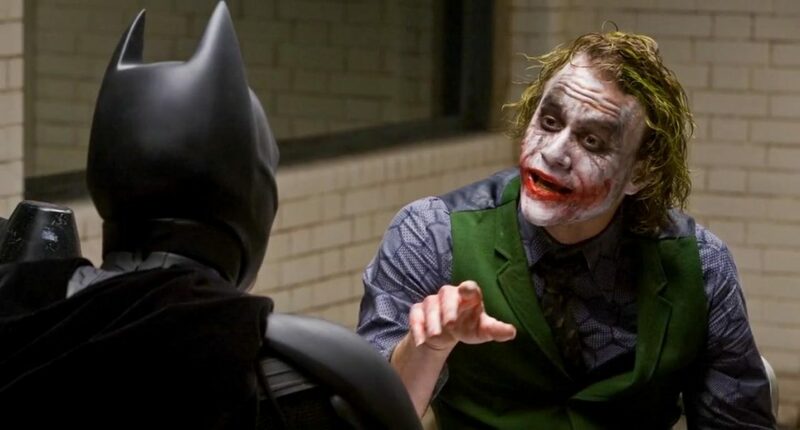 Throughout the film, the characters engage in a sudden chat, which has often nothing to do with the problematic situation. 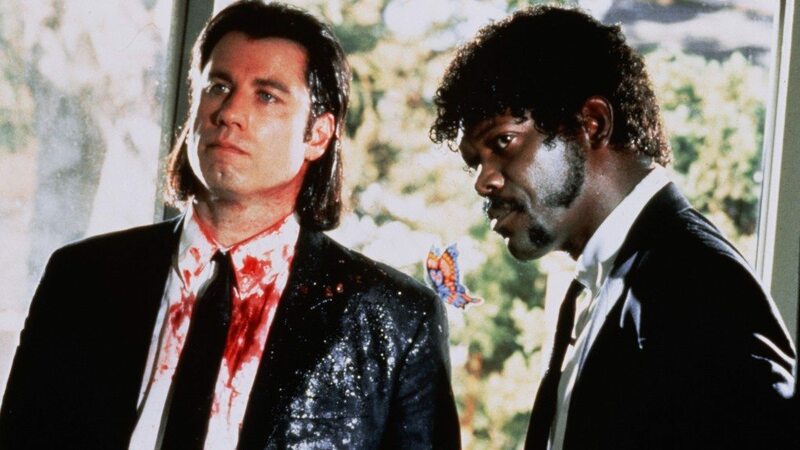 Whether discussing about the quality of coffee while disposing off a body, or appreciating a burger just before a shooting massacre; ‘Pulp Fiction’ is unsettlingly comical. The film’s stinging combination of humour (that might remind you of BlacKkKlansman) and eye-popping violence earned it a mass following, with many calling it as Tarantino’s cinematic masterpiece. The film’s celebrated screenplay and narrative structure swept the art of filmmaking; breathing new life in independent and parallel cinema and re-inventing postmodern literature.